As mother and daughter relationships go, Alva and Consuelo Vanderbilt’s was perhaps one of the worst during the Gilded Age. Alva, a Southern belle who married into the rich Vanderbilt family when she wed Willie K Vanderbilt on 20 April 1875 was determined from the moment her only daughter was born to ensure she made the perfect match. And Alva’s ambition for Consuelo seemingly had no bounds. After enduring a life on the fringes of New York’s high society, she saw Consuelo as a means of achieving social acceptance, so she set to work organising endless hours of study for her daughter, so that she could converse on a wide range of subjects, speak several languages and become an accomplished musician. She would frequently have Consuelo brought to her for the purpose of reciting long passages of prose and drilled her on the finer points of etiquette. Alva even went so far as to make Consuelo wear a metal back brace to ensure she learned the perfect posture. There is no doubt that when it came to her daughter Alva was determined and while her methods can seem cruel and domineering, they were no doubt informed by Alva’s own adolescence, which was characterised by uncertainty and upheaval. Alva had grown up on her father, Murray Smith’s, cotton plantation in Mobile, Alabama before her father moved his family to New York in an attempt to take advantage of the city’s pivotal role in trade. At first the family seemed to get on well there and were welcomed into society but when Civil War broke out between the North and South of the country, they suddenly found themselves at a disadvantage. With business suffering and now deemed social outcasts, the family fled to Paris, where their dwindling fortune would stretch further and Alva could learn the finer points of European society firsthand. By the early 1870s when Murray Smith realised his interests in the States were in real trouble, the family moved back to New York to find themselves scraping out an existence in genteel poverty. It was Alva’s brilliant marriage to Willie K soon after that transformed the family’s fortunes but Alva never forgot her exile from society and the realities of living with a fluctuating and uncertain income. In many ways marriage had saved Alva and she was determined that whoever Consuelo married would bring respectability to the nouveau riches Vanderbilt’s. Never again would Alva want for dollars or invitations. Alva looked to England and its titled but impoverished gentlemen as a means of acquiring instant social acceptance. She had a number of close friends including Consuelo Yznaga, now the Duchess of Manchester and Minnie Paget, who had also married an English aristocrat, who had made fortuitous marriages, conquering the English aristocracy and in so doing gaining prestige within American society. She sought the same for Consuelo. However, not just any title would do, she was determined that the Vanderbilt millions would make Consuelo a Duchess. A Lord, Earl or Marquis would not be permitted, only a Duke would be prestigious enough, as there were only a select number of eligible Dukes in the country. After consulting with Minnie, she settled on Sunny, the 9th Duke of Marlborough for Consuelo and after the two met at one of Minnie’s dinner parties in 1894, she was convinced that the match would go ahead. The only problem in this scheme was Consuelo herself. Alva had long thought that her daughter would just do what she was told but hadn’t reckoned on her falling in love. In fact Consuelo had fallen for an older man, the dashing Winthrop Rutherford, a friend of her father who secretly proposed to Consuelo on her eighteenth birthday on 2 March1895. Correctly guessing that the attachment had intensified, Alva whisked Consuelo off to Paris. Unbeknown to Consuelo, Winthrop Rutherfurd followed her to Europe but was not permitted to see her by servants under strict instructions from Alva. His letters were intercepted or returned. Meanwhile Alva pressed on to London and to the Duke once more keen to highlight how the Vanderbilt fortune could help the Duke’s crumbling Blenheim Palace. By the time that Consuelo and Alva arrived back in America and settled at Marble House, the Vanderbilt’s opulent holiday “cottage” in Newport, Rhode Island, Alva was confident the deal had been done. When the Duke announced he would visit later that summer, Alva expected a proposal to be forthcoming. However, Consuelo would make one last bid for her happiness. When she bumped into Winthrop Rutherford at a Newport ball and stole a dance with him, the pair managed to reconfirm their attachment to one another. Quickly ushered away by Alva, Consuelo maybe for the first time in her life, firmly told her mother that she intended to marry Winthrop. In a mother-daughter showdown that would have implications for years to come, Alva railed against Winthrop accusing him of engaging in adulterous affairs, said there was madness in the Rutherford family and that Winthrop couldn’t have children. Finally, she told her daughter that she would rather shoot Winthrop herself than see them married. Consuelo stood firm, however when she was told in the morning that Alva had had a suspected heart attack, she relented, agreeing never to see Winthrop again. On hearing that news, Alva made a miraculous recovery. Consuelo would finally marry Sunny, the 9th Duke of Marlborough on 6th November 1895 in New York, having spent the morning of her wedding in tears. Alva had got her way, her daughter would be a Duchess. Consuelo wrote in her memoirs that when her carriage drove away from the reception she looked back and saw her mother hiding behind a curtain in tears, ‘“And yet,” I thought, “she has attained the goal she set herself, she has experienced the satisfactions wealth can confer, she has ensconced me in the niche she so early assigned me, and she is now free to let ambition give way to a gentler passion.”’ Whether in that moment Alva felt regret for the pressure she had exerted on her daughter isn’t clear but many years later she atoned for her role in Consul’s union to the Duke when she helped Consuelo secure an annulment of the marriage, which had been unhappy from the start. Alva was the star witness at the Catholic Church’s Rota, a body who would decide whether or not the annulment would be granted by the Pope. She stated that she had forced her daughter into marrying the Duke and that she had “absolute power” over Consuelo and that therefore the annulment should be granted on the grounds of coercion. 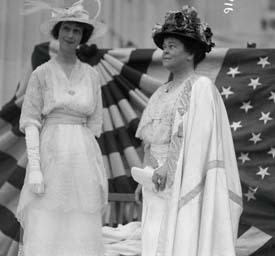 Surprisingly, Alva and Consuelo would remain close for the rest of their lives, working on philanthropic projects together and supporting the fight for women’s suffrage. When Alva died on 26 January 1933, despite all that had transpired between them, Consuelo was at her mother’s side. The Transatlantic Marriage Bureau: Husband hunting in the Gilded Age: how American heiresses conquered the aristocracy is out now, published by Aurum Press. Julie Ferry is a freelance journalist who has written for the Guardian, Sunday Times, Sunday Telegraph and the Independent, among others. 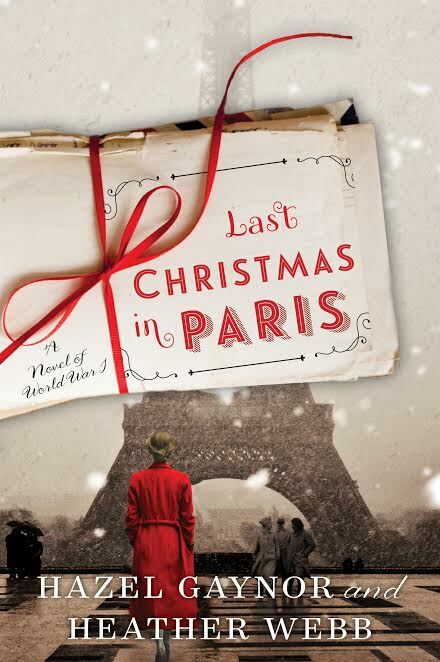 She writes on subjects ranging from protecting women’s rights to discovering Paris alone. 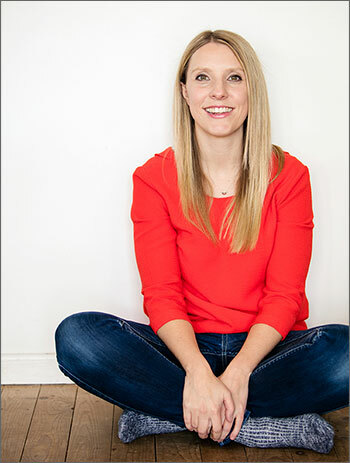 She graduated from Cardiff University with a degree in English Literature and then upped sticks and moved to a tiny island between Japan and South Korea to teach English, where she quickly got used to being followed around the supermarket by her inquisitive students. It was in Japan that she got her first byline for an English language newspaper and was quickly hooked. Since then, she’s been fortunate to write for most of her favourite publications, but always harboured dreams of seeing her name on the front of a book. Now, she’s managing to combine her love of writing and an obsession with interesting and largely unknown women from history, with the school run in Bristol, where she lives with her husband and two children. 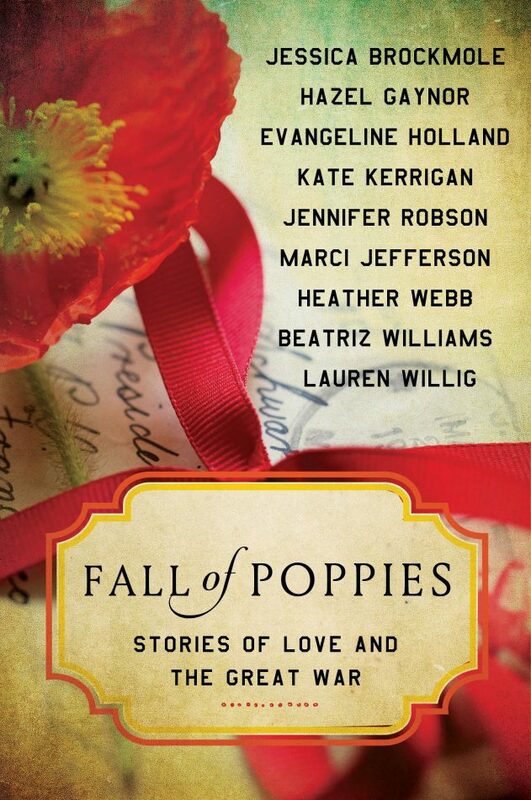 I’m so happy to take part in the cover reveal for my fellow Fall of Poppies authors, Hazel Gaynor and Heather Webb’s upcoming novel, Last Christmas in Paris!